The following is a guest post by Sara Zia Ebrahimi, a curator of film, visual art and new media who has been producing film screenings and exhibits in the Philadelphia area for over a decade. 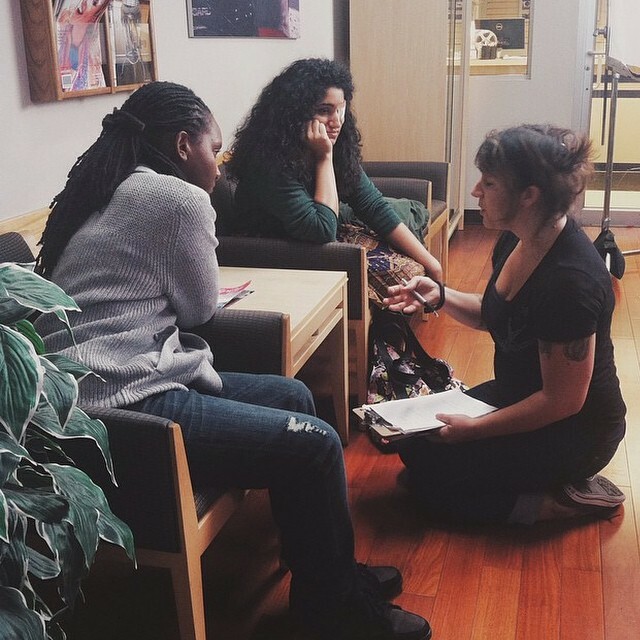 A MFA graduate of Temple University, her own short films have screened internationally and been awarded grants from Chicken & Egg Pictures, Rooftop Films and the Leeway Foundation. 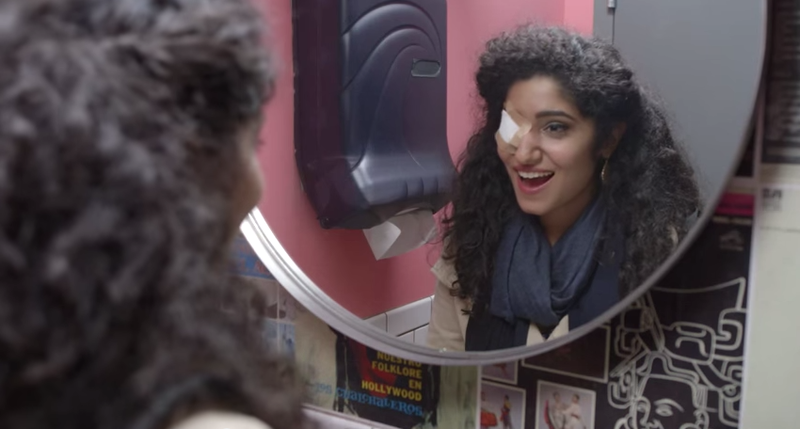 Her new web series Bailout follows the story of Shay, a young Iranian American woman who struggles with the most American of traditions: credit card debt. You can follow Sara on Twitter @tumeric. Many years ago I was bemoaning my credit card debt to a friend and her brilliant response was: “Having credit card debt doesn’t make you a failure, it just makes you American.” Later that day, I wrote that statement down. I sensed its importance, though I wasn’t sure why. Little did I know at the time that the statement would become the anchor for my new web series, Bailout. Set amid the financial collapse of 2009, Bailout follows the story of Shalah or “Shay,” an Iranian-American woman living in Philadelphia, who struggles to hide her own entrapment in the most American of traditions — credit card debt — from her family members who all harbor their own untold secrets. The episodic narrative is divided into 5 episodes, each 10 minutes long. The series engages challenges and contradictions that many first generation Iranian Americans — and many other immigrant groups in general — grow up with in relation to money and work. Lida Darmian stars as Shalah, an Iranian-American woman who is dealing with credit card debt and a host of other problems. On the one hand, you are told how much your parents have sacrificed to allow you to not have to work as hard or grow up under a fundamentalist regime. In Persian, the drama and fanfare of the sacrifice is ten times more intense than the English language could really ever properly convey. On the other hand, there are constant complaints — some underhanded, and some direct — about how lazy you are and how you don’t know how easy you have it. The result? You never feel like you’re doing enough. You never quite feel at ease. It’s difficult to make life decisions because you don’t know which voice to go with. It’s a contradiction that is the reality for many of my first generation immigrant friends, not just Iranian-Americans. In my case in particular, I grew up with a lot of mythology about my family’s success. I call it mythology not to doubt their truth, but because of the seemingly god-like positions the stories put my family members in. One uncle got on a bus at a young age after quitting high school, headed West from Iran, and eventually became the CEO of a successful company. Another left Iran for Germany at a young age, taught himself the language while in medical school and became a beloved doctor in a small Bavarian village. My aunt moved to Austria with two kids and only a few yards of cloth and became a fashion designer catering to high-society Viennese women. And my mom? She was the first woman at a prestigious engineering university in the United States (not Iran, where she studied with plenty of women!) to receive a PhD, and was one of 3 women out of 257 men in the College of Engineering when she started on faculty at the University of Florida. There wasn’t even a women’s bathroom in the College of Engineering at that time in the mid 1980s — she had to fight for it. I spent most of my 20s paralyzed by this culturally-informed feeling of ineptness. I got stuck in a loop in my head of these conflicting narratives that I couldn’t resolve. On top of this weight, I was ashamed that I had dug myself into an indebted financial hole and resentful that I hadn’t recieved any guidance from my family to protect me. To be fair, it wasn’t all my fault. Predatory lenders are just that: predatory. They find people who have enough to make a little payment, but also need more cash flow and stay in debt. The more I wrote about it and explored those feelings emotionally, I realized that credit cards were a source of cultural difference between myself and my mother. She couldn’t imagine that someone would hand a 21-year-old a $5000 credit line. How could she protect me from something she didn’t know about? And I was growing up as a young adult in an environment where all of my American friends had at least a several thousand dollar balance on their credit cards. It was completely normalized for me. The story line of Bailout captures those cultural differences between children and parents in first-generation immigrant families using predatory lending as the focal point of tension. Credit cards are such a quintessential manifestation of American dominant aspirations and visions of success in America, allowing us to live our lives among surplus and excess so that we can feel like we ‘made it’. The reality is that most of the “middle class” if you consider their debt-to-income ratio, are in fact “poor.” I am struck by how, in countries that don’t have the illusion of a vibrant middle class, poverty looks so different than debt-laden American poverty. It’s the tension of this aspect of American culture that has most interested me when writing this script. 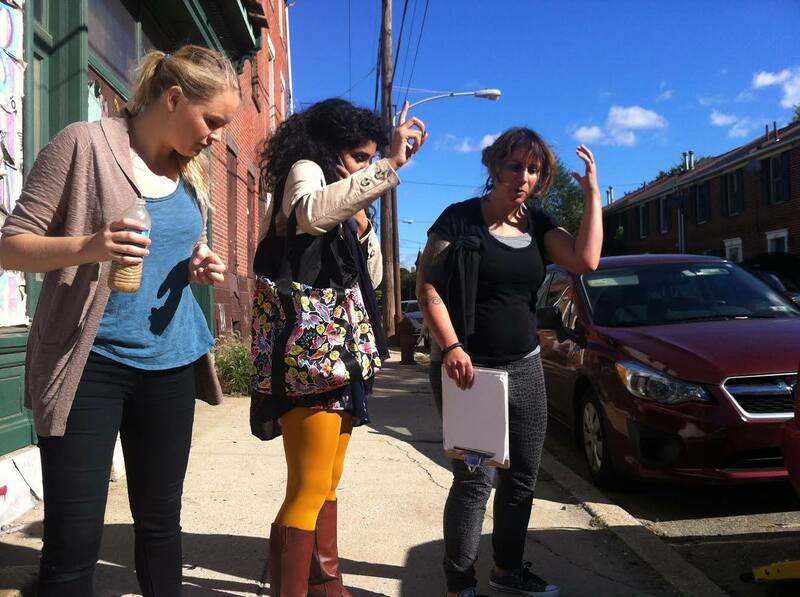 Sara Zia Ebrahimi directs Lida Darmian in the opening scene of the web series, while art director Claire Boustred manages visual details. It is also important to me to create media that offer a wide spectrum of representation of people in various roles. White people in America are afforded a wide spectrum of representation. All of us, no matter what race we belong to, are trained by the media to believe that white people can be nerds, artists, engineers, rich, poor, shy, outgoing, etc. But the rest of us as marginalized groups are not given that range. Our representations are narrow, and as a result, often very stereotyped. The reality is that every racial group has the counter-culturists, the conservatives, and the various subcultures; there’s no one way to be ‘Latino’ or ‘Iranian’, even though the media tries to convince us otherwise, and many of us buy into that and recreate that in our communities. The issues that I am exploring in this script add dimension to otherwise flat representations of women of Iranian descent in the diaspora. The first episode of Bailout is now up on YouTube. Information about the series, cast and crew can be found on the project’s website. We’re also doing a Kickstarter to raise money to shoot the remaining episodes.